Thread: What mobile phone do you have? I have the iPhone 5 and didn't bother to upgrade to the 5S. If rumours turn out to be true and Apple releases the 6 with a humongous screen, I'll stick with my 5 for another year. I've got tiny hands so I really don't like big screens. note 2. hardware, software, my apps scream "bleakosity"
I have big hands but hate big screens :p I have the 5 as well and plan to keep it till 2016 or whenever apple drops iOS support for it ( I think it will get ios 9 and maybe 10?? ). If it gets slow I'll buy a 5S. The 4 inch screen is as large as I would ever go. I had that one like 7-8 years ago. I have the iPhone 5c now (the blue one). Can't wait for the 6 and ios 8. A White Nexus 5 ("stormtrooper") I bought it a few days ago, it's my first smartphone. @Nanda, The HTC One M8 is probably the best phone out right now, I really like it. But why would you buy that phone a day before they announce the new one? :-? Who says I just bought it? Just thought I'd share the type of phone I use at the moment. And if we're talking about the iPhone 5/6, I agree with Westen. I think the 5s looks much better visually. yeah, using that many smileys should be banned. I've finally held an LG G3, that phone is everything, I'm in awe really, brilliant screen and design. 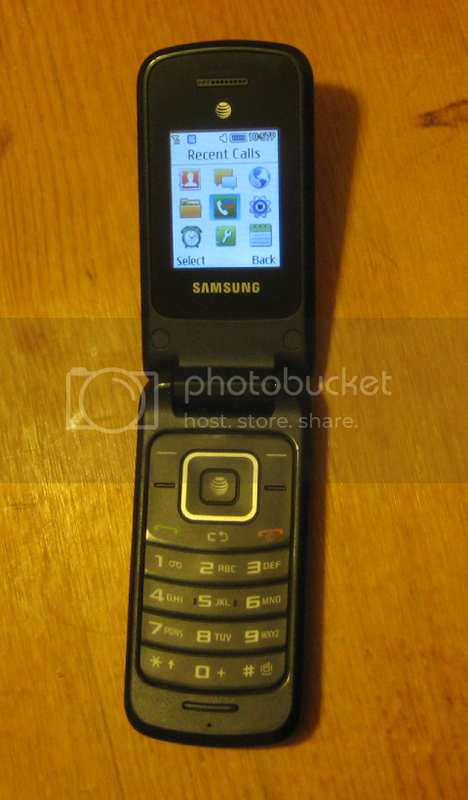 I just got my very first cellular phone. I received it a few days ago. It's a used Samsung. It's in good condition, and for the price it was a steal. I haven't made any calls yet as I don't want to waste my minutes, but I did receive one "SMS message" (unfortunately it was spam). It has a hinged design which folds in half to protect the screen and keyboard. This is known as a "clamshell". I will be using it for work purposes. Other features include a calculator, a calendar, an alarm, a stopwatch, a voice recorder, a unit converter and various other neat tricks. What type of cellular phone do you have, when did you get it, how often do you use it, and what do you like about it? Nice modern phone there, Goosey! I have an iPhone 6s and I wouldn't be without it. I use it at least 15 times per hour. Goosey, does it have the function to set "Radar" by Britney Spears as the ringtone?